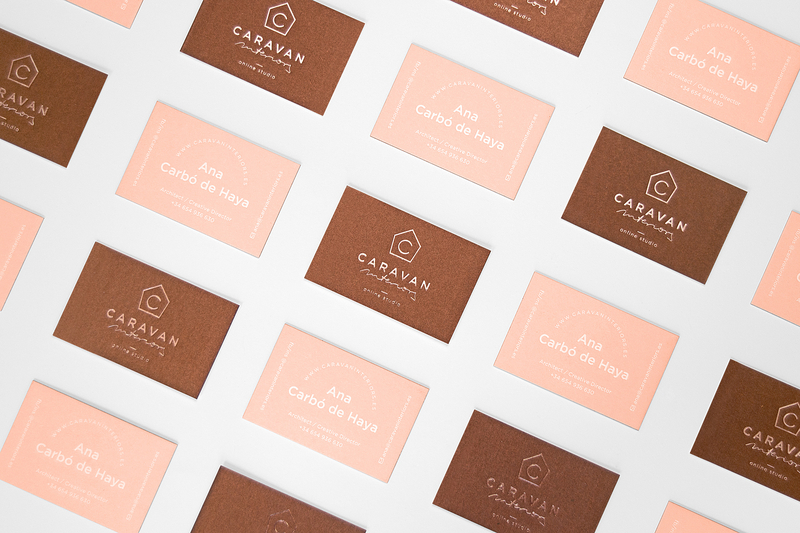 Mubien Studio designed and printed these beautiful business cards for Caravan Interiors, a famous architecture and interior studio run by Ana Carbó de Haya. Having worked with online and offline clients around the world, Ana needed a premium stationery to impress her clients with big projects. 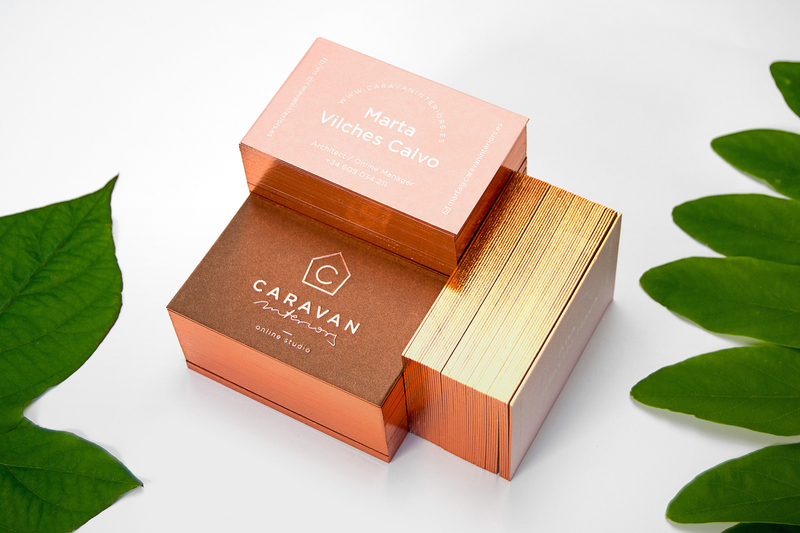 Ana loves pale pink color and copper, which is why Mubien Studio chose a combination of Gmund Bee Pink 300g and Gmund Gold Rich Copper 310g for her handmade business cards and corporate folder – all covered with different hotfoil stampings in white, copper and metallic pink. The results were impressive! The foiled edges create a shiny design when you look from the side, leaving a lasting impression while portraying elegance and professionalism at the same time.